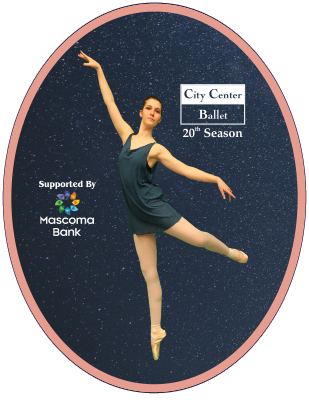 City Center Ballet celebrates 20 years of professional dance with a stunning evening of classical and contemporary repertoire. Experience the precision and beauty of classical ballet with Harald Lander’s Etude, staged by Jennifer Henderson. Then shatter expectations with three world-premiere contemporary dances created by emerging New York City choreographers. This versatile and wide-ranging performance goes beyond tradition to reveal the immense power of dance and the ongoing artistic legacy of City Center Ballet. An on-stage reception follows the Saturday evening performance—RSVP required: click below to make your reservation. While this show is suitable for all ages, ages 8+ will be most engaged. Estimated run time for each performance is 1 hr.